The punters’ money was on Do It Again to do it again, but Justin Snaith was not able to do it again, as it was a Rainbow Bridge too far. The winner of the 2019 Sun Met was the Anton Marcus-jockeyed Rainbow Bridge trained by Eric Sands after it set a blistering early pace in the race. Do It Again was running to win the treble after claiming top honours in last year’s Durban July and the Queen’s Plate and was the bookies’ favourite ahead of the race. However, the horse was lagging behind at the start and had too much ground to make up, although it finished strongly in second. 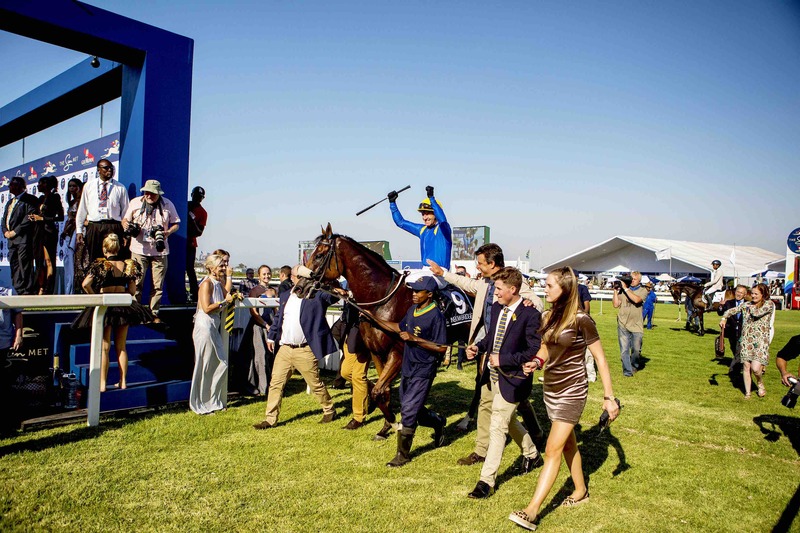 ‘Rainbow Bridge’ wins the 2019 Sun Met at Kenilworth race course in Cape Town. Third was Head Honcho and fourth was Undercover Agent. 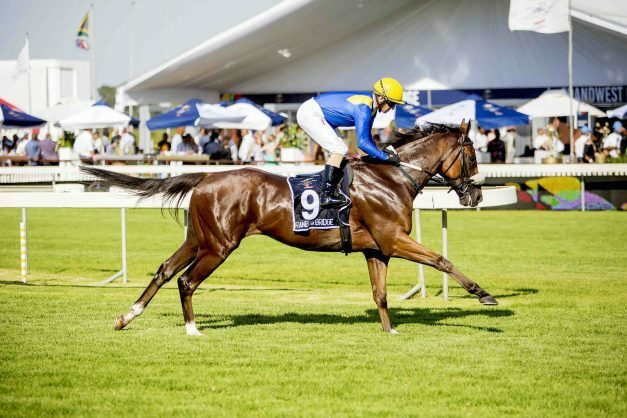 Thirteen runners had lined up in the R5 million Grade 1 Sun Met race at Kenilworth Racecourse over 2,000m on Saturday afternoon. It was the ninth race in the event’s history, and it has grown to be one of the most anticipated on the racing calendar. SA champion trainer Justin Snaith had the strongest hand, with four of the 13 runners. 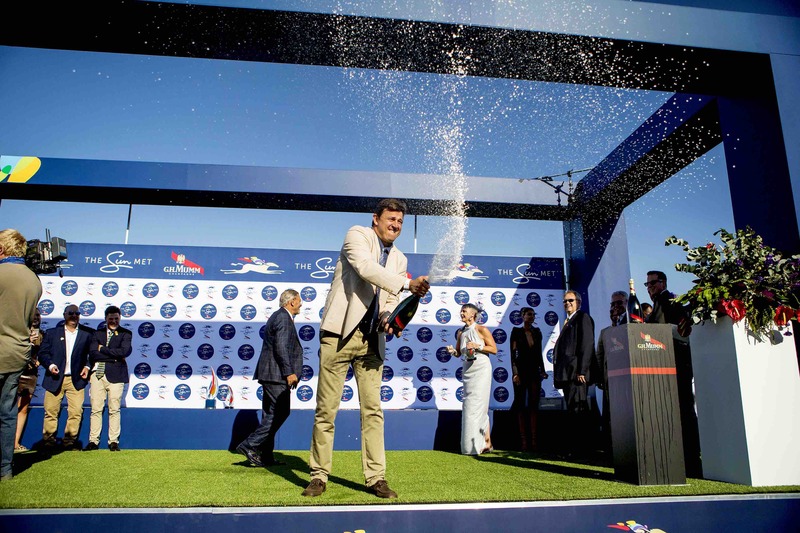 The owner of ‘Rainbow Bridge’ celebrates after winning the 2019 Sun Met at Kenilworth race course in Cape Town. Sun Met celebrated with G.H. Mumm held at Kenilworth Racecourse in Cape Town.